A home always requires a functional laundry that suits your family’s needs. 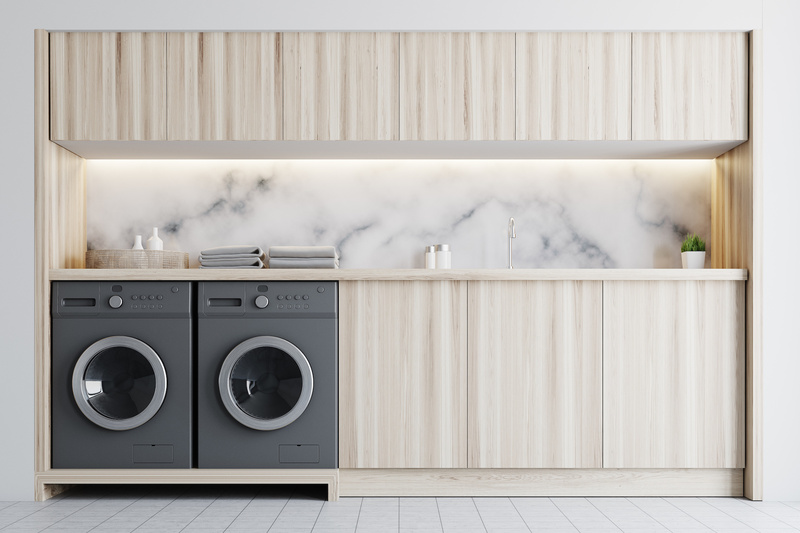 With our specialised tradesman and experienced team at BJF Joinery, we can ensure you that we can take your laundry concept to quality build in no time. And we won’t break your budget either! We are your “one stop shop” – from innovative, modern designs to professional installation, complete with project coordination services. The laundry is one of the work centers of the family home, and it’s normally one of the smallest rooms in the house. 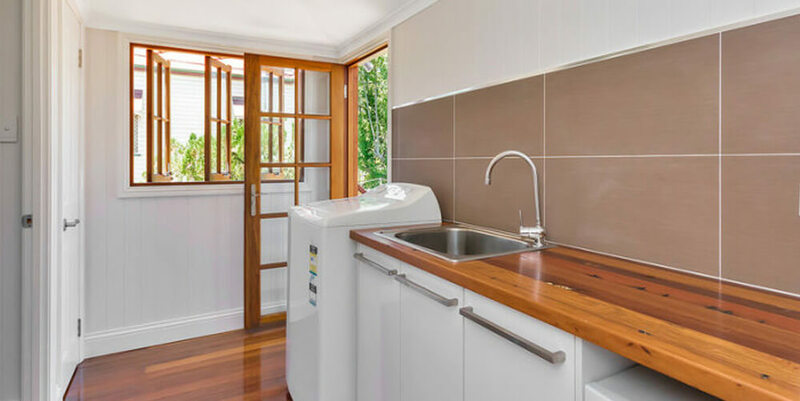 BJF Joinery can ensure that you have an area that maximises every bit of available storage space in your Sydney home. One of our staff will design a layout that makes those household chores as easy as possible. If space is limited, we can suggest solutions to your laundry needs by having the laundry hidden behind a wall of bi-fold doors. In two storey homes, the installation of a laundry shute can save lots of time, and trips up and down the stairs. Or maybe the laundry is actually a dual purpose room, and your looking to allow for bathroom facilities as well. We have a tried and tested process to get you great results. From your initial enquiry all the way through to a delivered kitchen and beyond, we’re transparent every step of the way. We offer personalised design services and provide you with drawings and photo realistic 3D renders. What ever your needs, we have the staff and experience to help. Bring your room sizes into the showroom or call us for some helpful advice. Your laundry renovation plans will run smoothly by allowing us to assist you with this important project.